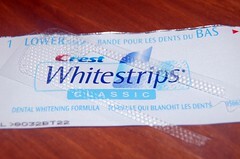 Whitestrips: Why are they branded as Crest? These days, we see a lot of companies building out their product portfolios in a way that squeezes every last bit of value out of the marketing dollars they’ve already invested. For example, Proctor & Gamble’s Whitestrips could have been launched as its own brand, or under the P&G beauty brand, Cover Girl, but they settled on the Crest brand. P&G, multiple brand company, was able to reduce marketing costs by consolidating and advertising Whitestrips under a single brand while conveying the right messages about effectiveness, safety, and health benefits to consumers. If a new product is innovative and inserts a technological gap, then a new, stand-alone brand would convey that message. However, associating a new product with existing brands allows the new product to inherit the image of existing brands and therefore reduce launch cost. In order to avoid confusion, the new product should complement or extend the existing brand. A Proctor & Gamble’s Crest Whitestrips business case at Strategy+Business illustrate this point in fine detail.